If you or someone you love has diabetes, knowing the best food for diabetics can help promote health and prevent further decline. You must now be aware on the benefits of Ayurveda in managing diabetes as we mentioned in our earlier blog. We can confirm that researches in the field of blood sugar management have highlighted the role of Ayurveda and have opened umpteen possibilities for those in search of better management techniques and methods to fight and manage diabetes. So the good news is Diabates can be prevented if one maintains a good and healthy lifestyle and there are healthier and better alternatives to tackle this dreaded disease. In this piece we throw light on the many steps to fight, tackle and control diabetes through dietary means. Traditional ancient medical science of Ayurveda has answers to many issues related to Diabetes. As per The World Health Organization to tackle Diabetes a minimum consumption of 5 – 10 portions of fruits and vegetables per day is a must and also avoid or Lessen fat, salt, alcohol, and caffeine in the diet. It’s hence pertinent to chalk out a meal plan, one which is based on receiving 50 to 60 percent of the daily calories from carbohydrates, 15 percent from proteins, and the remainder from fats or oils. The key here is to have low glycemic foods. Eg. Whole grain breads, oatmeal (slow cooked), all bran cereals, converted or parboiled rice, brown rice, pumpernickel bread, pasta, all beans, peas, lentils, apples, oranges, tomato juice, sweet potatoes, carrots, broccoli, cauliflower, peaches, pears, grapefruit, oranges, sweet corn, dark leafy green vegetables, popcorn, marmalade, skim or 1 % milk, low fat milk, yogurt and soy milk. According to Ayurveda…. barley (yava) is the best grain for managing diabetes. Whole grains regulates glycemic response, increases insulin sensitivity, improves pancreatic β-cell functions and insulin secretion. Hence it is highly recommended to have whole and multi grain breads, whole wheat pasta, brown rice, low-fat and multigrain crackers, low sugar, whole grain cereals, oatmeal, bran, bulgur, buckwheat, low-fat, whole grain baked goods with added bran or oat bran, pasta, high fiber cereal, corn, oatmeal, millet, barley and rye. Ayurveda also prescribes old rice (purana shali), as one of the cereals beneficial to diabetic patients. Diabetic patients can look forward to an improved glycemic control, reduced HbA1c and triglyceride levels, enhance antioxidant defense system, attenuated oxidative stress and inflammatory markers, decreased risk of diabetic retinopathy and lower the burden of carotid atherosclerosis by regular consumption of various fruits and vegetables. Fruits with a low glycemic index are apples, peaches, pears, grapefruit, grapes, oranges, melon, dried apricots, raisins, kiwi, berries, cranberry, blackberries, black raspberries, blueberries, red raspberries, strawberries, cherries, barberries, plums, litchi fruit, durian, pomegranates, bananas, avocadoes, persimmon, guava, papaya, kokum fruit, jackfruit, acai, goji, watermelon, dates, figs, syzygium cumini or jamun, Indian gooseberry or amla, wood apple, sugar palm and lotus. 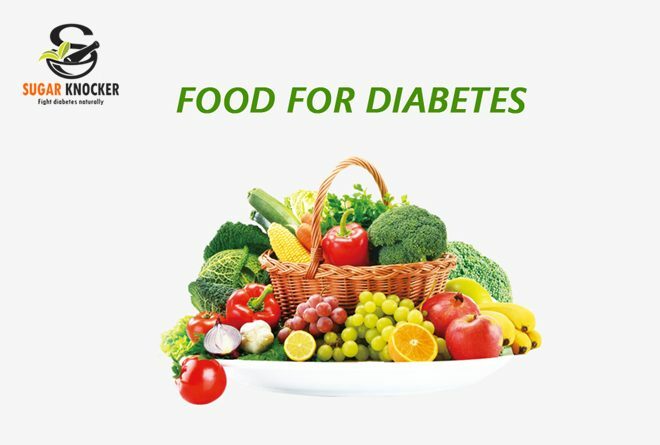 Vegetables – Ayurveda recommends all types of bitter vegetables as the best for diabetics. Eg. Bitter gourd, fenugreek, pointed gourd, garlic, Indian fig, arugula, kale, dandelions, beet greens, bitter melon, rapini, radicchio, endive. tomato, cucumber, carrot, broccoli, cabbage, cauliflower, spinach, kale, collard, squash, green beans, sweet potatoes, pumpkin, artichokes. Ayurveda recommends mustard oil is the best. As well as Olive, canola, soybean, sesame and sunflower oils (3 tsp or less per day), non-hydrogenated soft margarines, low calorie dressings and mayonnaise, light peanut butter, nuts (watch salt and calories), defatted gravy and low-sugar condiments, cocoa powder even dark chocolate can be taken. Limit alcohol to less than 2 drinks per day. It is not a good idea to drink on an empty stomach, especially if you take insulin or medications that put you at risk of hypos, as alcohol can make hypos more likely to happen. Recommended sugar substitutes and artificial sweeteners, low sugar jams, jellies and syrups, sugar-free candies, gelatins, gum, low-sugar and high fiber baked goods, and low-fat and low-sugar frozen dessert. If you are snacking then stick to popcorn without salt, butter, or hydrogenated oils is a good choice and low fat, low sugar snack food are recommended. Apart from this you must also ensure that you follow a strict routine of physical exercise. You will notice the changes in a very limited period of time and gain the confidence that diabetes is a monster that can still be tamed. Ayurveda believes in the potency of certain combination of herbs and a well balanced diet in managing Madhumeha. Our research facility has been constantly striving to make the life of diabetics better and lead a life of any non-diabetic person. Hence, our product Sugar Knocker has been created with utmost care and attention for your holistic health and better quality of life.